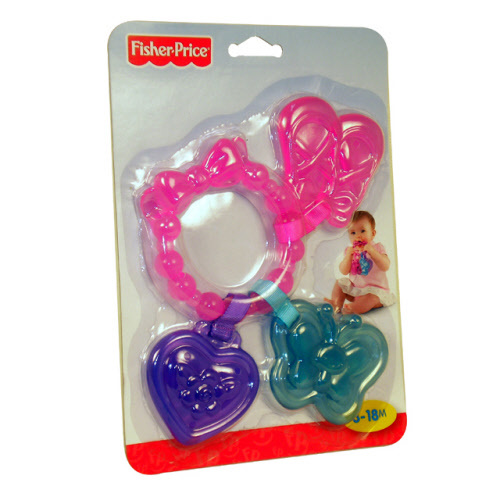 A great teether from the Fisher-Price Brilliant Basics range. It has three fun shapes in various colours that hang off the central ring. Easy to clean and for baby to grip. This pretty bracelet is perfect for go-anywhere fun with teethable butterfly, heart and ballet shoes. Cute! 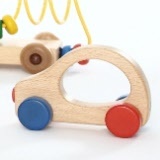 A beautifully constructed, Beech timber Car and Rattle for baby's travels!